Here's one of the sketches I did at the Bologna book fair last week. 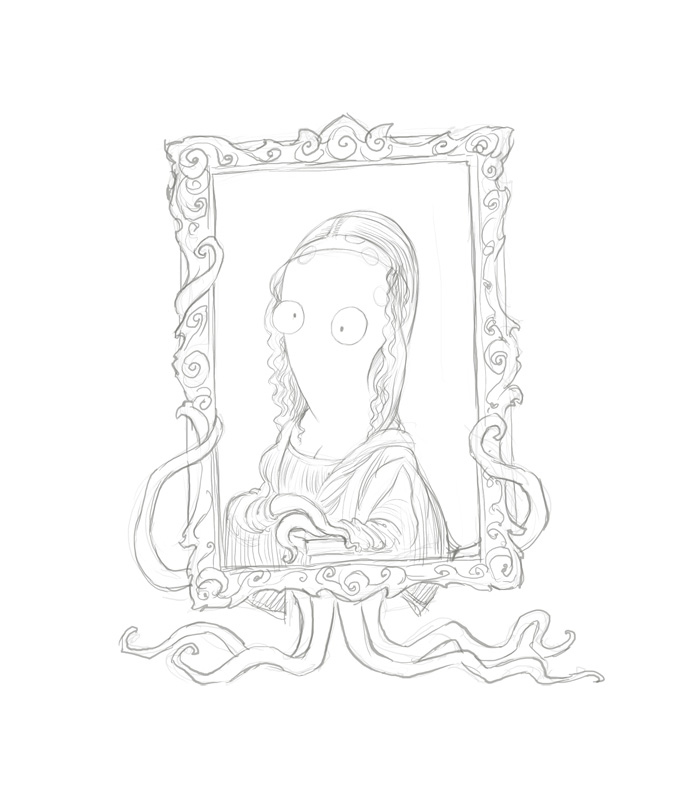 I thought something Italian would be appropriate, so I did Jarvis the Octopuppy as the Mona Lisa. 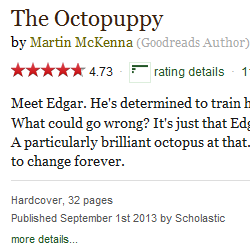 Enigmatic! I'll post another of the sketches tomorrow. 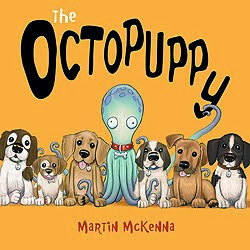 The show went really well, with lots of interest in The Octopuppy. My appearances at the exhibition were a little nerve racking to begin with, as I'm long out of practice at performing live drawing demos. But visitors' reactions to all the Jarvis characters I had on display were so positive and encouraging, I really started to enjoy myself! I don't normally get to see the reactions of an audience and it was a delight to watch how entertained people were by the drawings. I hope the many folk who went away with prints and posters enjoy their goodies.